George Mason University has always prided itself on thinking different. An article once analogized the school’s economics department and law school to sports franchises run according to Moneyball principles. Lacking the prestige and endowments of top-tier institutions, they have targeted undervalued assets, such as economists with stronger free-market leanings than is typical in the academy, to rise quickly and cheaply to the same standing as the Ivies and Ivy-equivalents. George Mason’s first foray into online education—debuting Monday—is a similarly insurgent venture: it is a course on Development Economics that comprises a series of several-minute-long narrated PowerPoints, complete with colorful underlining of key phrases and goofy clip art, and is primarily branded not as George Mason’s but as an extension of Marginal Revolution, a popular blog written by two George Mason economics professors. “Marginal Revolution University” undoubtedly has street cred. But will that be enough to distinguish itself in the increasingly cramped and increasingly important market of online higher education? TWO WEEKS AGO, Coursera, a several-month-old start-up that offers the course offerings of its partner colleges and universities online for free, announced that it had signed deals with more than a dozen new institutions. As of now, half of the Ivy League as well as Stanford (where Coursera’s two founders are faculty), Duke, the Mt. Sinai School of Medicine, Ohio State, Hebrew University of Jerusalem, and 25 other institutions are Coursera partners. There is evidence that pressure to expand online led to the brief planned ouster of University of Virginia President Teresa Sullivan earlier this year (this summer, a month after Sullivan was un-fired, UVA signed with Coursera). The writing is on the wall: if you are a prominent institution of higher education, you are scrambling to plant your flag on the Web. Cowen and Alex Tabarrok, the other Marginal Revolutionist—and co-author of that George Mason/Moneyball piece, which appeared in Slate—announced the unveiling of their online university a few weeks ago with a few modest principles: it’s free, and advertisement-free; the videos are short and fun; and class begins October 1. In fact, Coursera does offer a range of economics-related courses. Yet when it comes to Coursera and Marginal Revolution University, the important distinction is style, not substance. Coursera puts already-existing courses online, complete with talking heads on camera and a strictly proscribed schedule. By contrast, MRU’s main influence is the Khan Academy, a non-profit that provides free videos for anyone’s use. “We hope that people will be able to take units and use it in their own classes,” he says of his own project. “We don’t see it as an alternative to universities. We see professors using it as their own material.” Or students using it to supplement their classes. Or people without access to U.S. higher education—whether in the United States or in South Korea (they hope to subtitle at some point)—using it to gain a basic grounding in the subject. Or curious adults using it to learn about a fascinating subject like Development Economics. While Cowen and Tabarrok hope their courses will be put to varied purposes, MRU also offers an opportunity to perform a sort of large-scale, long-term, not-exactly-scientific experiment for one of Cowen’s many, many driving questions: what is education really for—what really makes it valuable? Mainstream economic thinking, Cowen noted in a lengthy 2006 blog post that foreshadowed MRU, views education primarily as a signaling device: An economist views degrees and other credentials as means of conveying your qualifications to the world, which in turn become means of maximizing your utility (usually the amount of money you make). education gives you a peer group, a self-image, and some skills as well. Getting an education is like becoming a Marine. Men need to be made into Marines. By choosing many years of education, you are telling yourself that you stand on one side of the social divide. The education itself drums that truth into you. The videos, several of which were made available to me, are indeed more friendly than the stuff you typically find on Coursera, if not as viscerally captivating as, say, a TED talk. Manufactured with Microsoft PowerPoint and a $4 iPad app, they tend to last in the neighborhood of five to eight minutes—Cowen, who possesses a parody of an economist’s precision, noted on his blog, “The average video is five minutes, twenty-eight seconds long”—with segments frequently summarizing and highlighting the most interesting parts of academic papers (“Seasonal Food Prices and Policy Responses: A Narrative Account of Three Food Security Crises in Malawi”); these papers are duly credited and usually available online for free. Already, they have started planning further classes on other subjects—a professor from the University of Oklahoma will lead a course on Mexico early next year—and Cowen is encouraging readers/viewers to make their own videos and send them in, with Tabarrok citing Wikipedia as MRU’s model here. 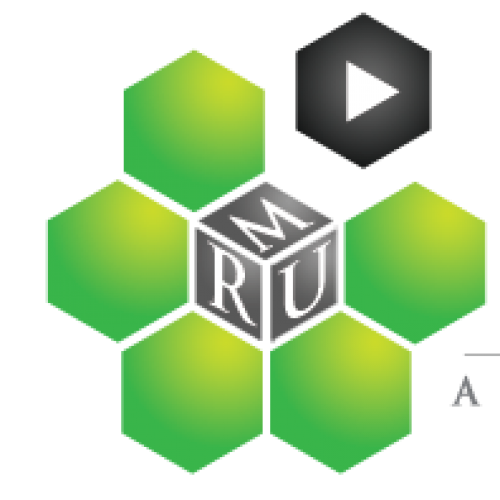 Its optimistic motto is “Learn, Teach, Share.” This ad hoc philosophy is central to MRU’s method—and is potentially its greatest weakness. Additionally, MRU lacks the friction of accountability. Most videos recommend a wealth of online reading—class-takers will be encouraged to follow 43 development economics-minded Twitter feeds—but there is no way to engage in face-to-face discussion about those assignments, which Cowen eagerly concedes is a crucial aspect of education. There will be quizzes and tests, albeit no way of actually enforcing their integrity (though the two are looking for ways to overcome this—Tabarrok noted that, apparently, you can take supervised exams at UPS stores). Coursera has this problem, too, and its struggle to conceive a viable business model is well-documented. But it is easier to imagine an ambitious, venture capital-backed start-up aligned with several dozen prominent universities solving this obstacle than MRU. Ultimately, Cowen and Tabarrok’s guerilla spirit raises the question of whether MRU’s marginal methods undermine any potential revolutionary goals. It would be impossible for two bloggers (who are also full-time professors!) to recreate the institutional infrastructure—the administrators, the department heads, the faculty conferences—that allows universities to exert quality control over specific courses and across course offerings. And that may be the point: the sort of deep-seated “self-acculturation” that Cowen is after might just be beyond his means to provide. What’s in it for Cowen and Tabarrok? No money, at least not directly. (This is less surprising than you’d think: over the years, the two have declined ample sums to take their blog from its advertisement-supported WordPress platform to traditional media sites.) “If it does well, it will in some way be good for me,” says Cowen, who according to Amazon has published eight books in the past decade. Chiefly, they seem drawn by the chance to experiment, articulate longheld theories of education, and maybe even do a little good. And, like all entrepreneurs, to create something lasting. Now that they’re serving as de facto administrators of their own university, Cowen and Tabarrok are contemplating the virtues of the “c” word: both would eventually like to see MRU courses credentialed by the university. Its best chance may be not as a quirky, category-less learning experience, but as a more streamlined and generally superior version of Coursera. It could scale up, but only with substantial help from George Mason—which in this age of anxiety over online education would be certain to have plans for MRU that serve its more traditional, signaling-focused ambitions for itself. That would constitute a tremendous success on the world’s terms, but not, necessarily, on Cowen’s.